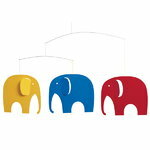 Elephant Party is a mobile with three big elephants, a yellow one, a red one and a blue one. Three baby elephants (not suspended) come with the mobile and are suitable for bookmarks, etc. 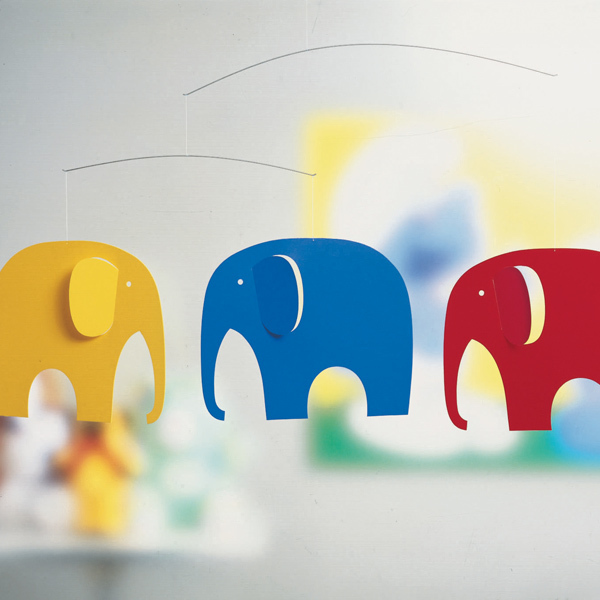 Elephant Party has been designed by Ole Flensted. Elephant Party is perfect as a gift for a baby.